Riding Out provides support, training and advice to ride leaders who are taking hacks out or for trek leaders taking out longer rides. 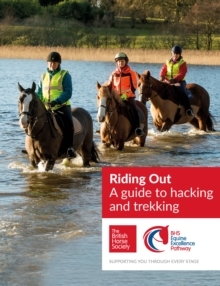 This book explores alternative tack for riding out, considering western tack and endurance tack and how it is used appropriately for the safety and the comfort of rider and the horse. The book extensively addresses the horse care, stable and yard managements and well as exploring alternative tack for riding out, considering western tack and endurance tack and how it is used appropriately for the safety and the comfort of rider and the horse.